KIAH -- In an emotional plea, Tara and Francisco Delgado Jr. are urging other parents to take their kid's common symptoms seriously. It's the one regret they have as they grieve the loss of their four-year-old son 'Baby Frankie'. "I miss my baby boy so much. As a mother, you can't imagine losing your only son. I feel so empty inside. I want him back so bad," Tara said. Just two days after a family swimming trip to the Texas City Dike near Galveston, his parents said Baby Frankie started getting stomach cramps, and began vomiting and having diarrhea. But what they thought was simply a common stomach bug, turned out to be their worst nightmare, when a week later, Frankie woke up and took his last breath in his father's arms. "I'm like Frankie, 'wake up! say something, say something.' Im shaking him like, 'come on daddy, wake up, wake up, breathe, breathe, breathe!' And then at that time, he took another breath and then he looked at me and his body went limp," Francisco said. "We walk into the room and I just see my son, just lying there. I grabbed his hand and I said, 'daddy! wake up! It's mommy. Let's go outside. Let's go play ball. It's summertime. We have so much planned for the summer! Please daddy, wake up!' But by that time, he was so cold," Tara said. Tara said the doctors told her the hospital had only seen one case of dry drowning in the last 12 years. For now, Tara and Francisco are hoping to spread awareness and help prevent other parents from going through the pain they did. "If this was his purpose for his passing-- to save other lives-- then I can't be selfish anymore," Tara said. SEE ALSO: Funeral arrangements are set for Saturday, June 10th. Tara and Francisco describe Frankie as an outgoing, loveable character who could light up a room with his smile. They said Frankie loved playing baseball and eating cheeseburgers. 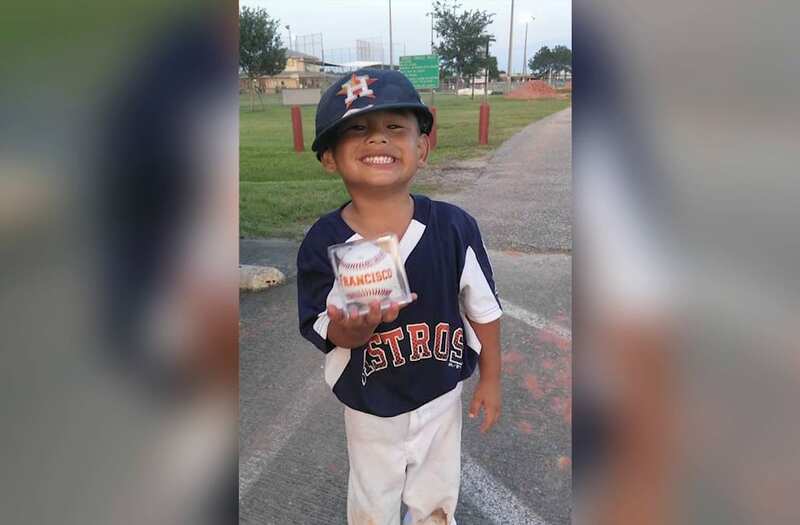 His real name was Francisco III and the four-year-old shared the same birthday as his father, Francisco Jr.
His sister, Desiree Sosa, has set up a GoFund me account to help the family with funeral expenses. There will also be a benefit at Texas Twisters Tavern on 2327 McCarty St., on Saturday, June 17, in honor of Baby Frankie.